I’ve looked on eBay… nothing. I thought you could buy anything on eBay? Music, comics, golf clubs, virginity, Britney Spears’ used bubble gum, a cornflake the shape of Illinois, a 50,000-year-old mammoth and a decommissioned nuclear bunker. [A somewhat curious single lot, for sure!] Clearly there’s a gap in the market here: the buying and selling of immune systems. Another option might be to look into genetics. My dog, Willow, clearly has exceptional genes. He never gets sick and possesses the kind of energy and silky coat that I could only dream of. I think it might just work… with that amount of vitality coursing through my veins, I’d be dangerous. And if the only potential down side was a need to be wormed every six months and a mildly disturbing propensity to wander around in public randomly sniffing strangers’ arses, then I believe that would be a small price to pay. Anyone who might know the kind of doctor/scientist that may consider such an undertaking, let me know. No questions asked. Footnote: Sue drove off to work this morning and returned a few minutes later having forgotten her mobile phone charger. She eventually found it in a basket in the bedroom. She then couldn’t find the car keys she’d just come in with. Five minutes later… in the basket she’d found the phone charger in. I fear it’s going to be a long haul into senility from here. This is my favourite image. 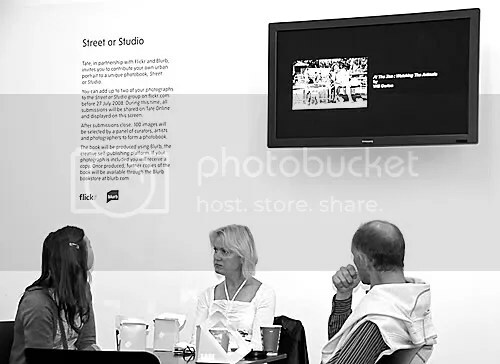 It provided the catalyst for my initial photography passion and a memorable year studying the subject full-time on the renowned Foundation Photography Course at Filton College, Bristol. The image also subsequently featured in The Independent Photography Competition. I also recently put an original hand print of this into an auction to help the people of Japan, following the earthquake and tsunami in March 2011, and was delighted to raise £150.00. So, one way or another, this image has meant a great deal to me. And, almost sadly now… I never knew her. 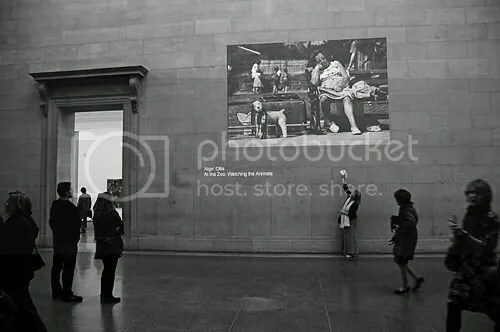 This was how the image was displayed in Tate Modern throughout the summer of 2008.